Our patients at Diane Milberg DDS hate the thought of delaying their treatments and often ask us what they can do in between their adjustment visits to help. Today, Dr. Diane Milberg and our team thought we would provide some tips on how you can stay on track in regards to your treatment plan time. The first thing we want you to do is keep your adjustment appointments. Each visit with Dr. Diane Milberg is carefully planned to move your teeth a specific way in a certain time frame. It’s important to note that missing an appointment can add weeks or months to your treatment time. 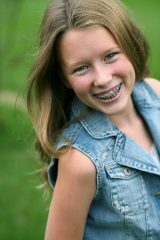 Next, we want you to let Dr. Diane Milberg and our team know right away if your experience any problems with your braces or appliances. A missing wire, rubber band, or broken bracket can delay treatment time, so we ask that you please give us a call right away to report any issues rather than waiting until your next visit. Make sure you wear your rubber bands as prescribed by Dr. Diane Milberg. Most, if not all, of our patients will need to wear elastics or rubber bands at some point during their treatment. Not wearing the bands or elastics, or not wearing them enough, can slow down your treatment time. Rubber bands are critical in aligning your bite and are important for the bite-fixing phase of your treatment. If you have any questions about any of these tips, or if you have any general questions about your treatment, please give us a call at our convenient San Diego, California office, or ask Dr. Diane Milberg during your next adjustment visit!